If you’re like me, you might not have SCOM or SCCM or some other 3rd party solution that you can leverage to track all of your systems in your environment that you can pull up at a glance to know what software is on it or what local account might be created on it. Fortunately, with the combined forces of PowerShell and SQL, we can build up our own solution that can provide us this information. This is where I came up with a project to roll my own server inventory system. Of course, this could change over time depending on various requirements, but I am hoping that for the most part, things stay the same and the only things that would need to be updated would be the content in each table such as adding or removing various properties. Adding new tables is as easy as copying the code from a different table creation region and making changes to add the new names and properties to include. One last requirement that I had was that this data was only meant to last until the next run of the scheduled task which collects the data and sends it to SQL. This means that whatever that I had prior to the run will be replaced by the new data. Probably not the most efficient way to handle the data, but there is always room for improvement with this project. I have defaulted the SQL server name to vSQL as that is my server in my lab environment so feel free to update it as needed or just call the script with the parameter –SQLServer and it will do the rest of the work for you! You can also see that I have my own version of Invoke-SQLCmd here. There are much better versions of this out in the wild so you can feel free to rip this one out and replace with a different one if you wish. As for the column names and types, I tried to make it something that would ‘just work’ and also after some trial and error with figuring out a size for some of the data in the columns where I ran into errors when sending the data to SQL as something like a display name was longer than what was allowed in SQL. This might still be an issue for some of you depending on what you have running, but for that you can just the code and re-build the database. Running the code is simple, just make sure that you point it to a valid SQL server and let it run! It shouldn’t take too long to finish and after that, you can use SQL Server Management Studio (or whatever else you want to use) to validate that the database and tables have been created. Part 2 will take us to performing the queries against remote server and sending the data collected up to the SQL server using a script that I wrote which will leverage my PoshRSJobs module for added multithreading. 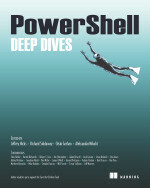 This entry was posted in powershell and tagged inventory, Powershell, SQL, tsql. Bookmark the permalink. Hi, do I understand correctly that gathering data script is looking for all servers in ldap? How can I run it only for servers from a list? I tried computername parameter but it didn’t work. Your script is too advanced for me, can you help?